125,000 fans attended UFC Fan Expo 2010 which took place on May 28-29 in Las Vegas, Nevada. 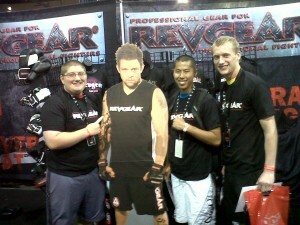 Renato Babalu Sobral's Fans from Saratoga, Florida at Revgear booth at UFC Fan Expo 2010. Donald Cerrone and Leonard Garcia at Revgear booth at UFC Fan Expo 2010.